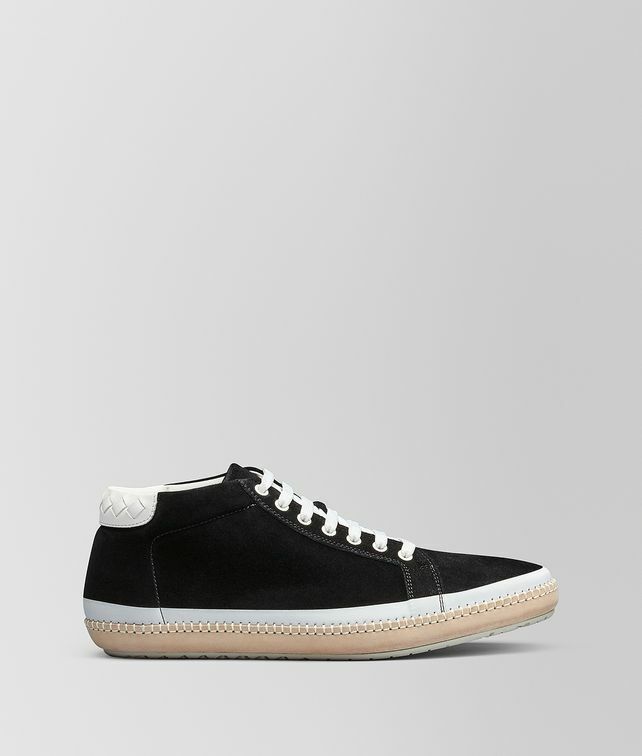 The BV Fellows sneaker elevates the essential sporty shoe with refined Italian artisanship. Crafted from supple spritz suede, this high-top style features hand-woven nappa leather in iconic intrecciato at the heel. Finished with a rubber sole framed by tonal stitching.